We are committed to delivering each and every customer a 5 star experience in Iowa. We appreciate your business and value you as a customer. You are the most important person in our business and we are committed to providing you with a world-class home improvement experience. In this day and age the power of a customer testimonial cannot be underestimated. Over 80% of consumers consult reviews before making a purchase. As an established and trustworthy contractor, our customer reviews are vital to our business. We thank you for taking a moment to review us. Check out what our clients have to say about our consistent, responsive, high quality customer service and installation. quality workmanship and products that will last a lifetime. Home Solutions of Iowa stands behind the quality of our materials, our labor, and our warranties, and that sets us apart. We have one of the highest referral rates in the industry, and chances are we’ve worked on your neighbors’ homes. Additionally, we are all local and all professional, and we don’t leave our customers hanging. Our scheduling department prepares every customer ahead of time with a packet of information of what to expect from the job. At every step, you’ll know exactly what’s going to happen and when. There are no surprises when we show up at the job site. For these reasons and more, Home Solutions of Iowa is a contractor you can trust. Here at Home Solutions of Iowa, we believe in the importance of giving back. We also donated several VIP packages to be auctioned off for Couture for a Cause. This event featured a fashion show and a brunch honoring children and families facing childhood cancer, as well as nurses who support these families in the Des Moines Area Hospitals. In 2016, we sponsored the event “Roofs for Troops” where we donated a roof to National Guard member Gary Waters. And in 2017 we partnered with the nonprofit group No Roof Left Behind where we donated a new roof to breast cancer survivor Tricia Croushore in Adel, Iowa. Home Solutions of Iowa is always looking forward to getting involved in our community! we are proud to hold an A+ rating from the Better Business Bureau. I was most satisfied with every bit of the job, the roof and gutters are both great. The sales representative did an excellent job all the way through and I cannot say enough good about him. 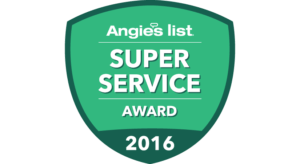 - Justin F.
With years of experience, national and local awards, and a world-class staff, satisfying our customers is easy to do. 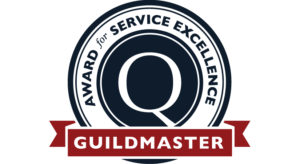 Home Solutions received its first GuildQuality GuildMaster Award for Service Excellence in 2014 due to our excellent track record of customer reviews and recommendations. 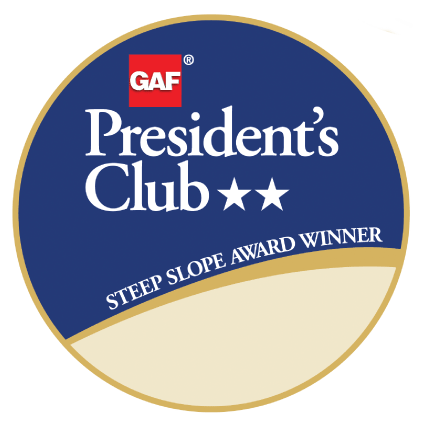 This year marks our 5th year in-a-row winning the GuildQuality Guildmaster Award. Client satisfaction measurement takes commitment and is best when conducted through an objective third party. 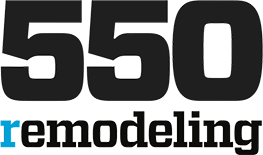 Qualified Remodeler, partnered with GuildQuality Inc. to identify our list of 60 Client Experience Leaders. Each year, the list is divided into four main categories: full-service remodelers, replacement contractors, insurance restoration companies, and franchisors. In 2017, HSI ranked #72 in the full-service remodeler category. This year marks our second year in a row ranking at #88 in the full-service remodeler category. 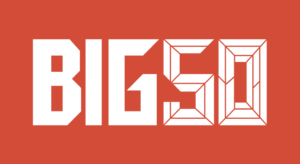 Every year Remodeling searches for 50 remodelers at the top of their field. Winners embody some of the most innovative strategies to survive—and flourish—in a changing market. 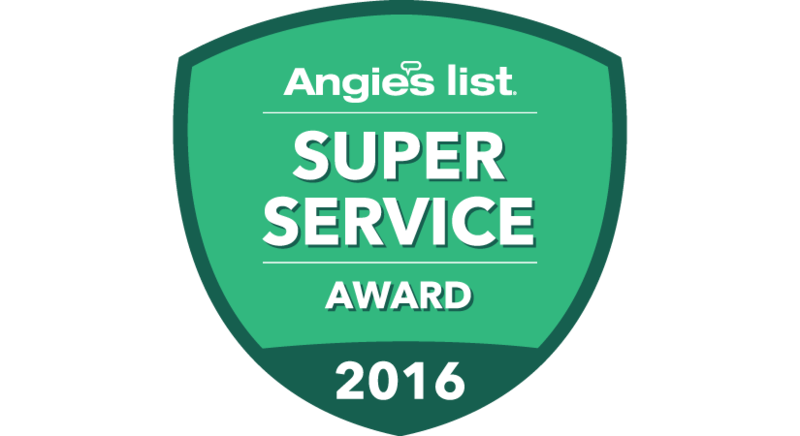 The Angie’s List Super Service Award honors excellence among home service pros who maintain superior service ratings and reviews on Angie’s List.